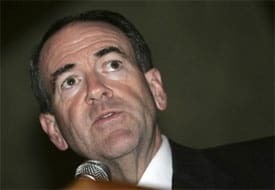 Huckabee also said that AIDS research received a disproportional amount of federal funding compared to that allotted for cancer, diabetes and heart disease. On FOX News Sunday, Huckabee was asked about the remarks. Quarantine is, in fact, defined as a “strict isolation” intended to prevent the spread of disease. Last week, in an interview with GQ Huckabee stated that gay marriage would mean the end of civilization.